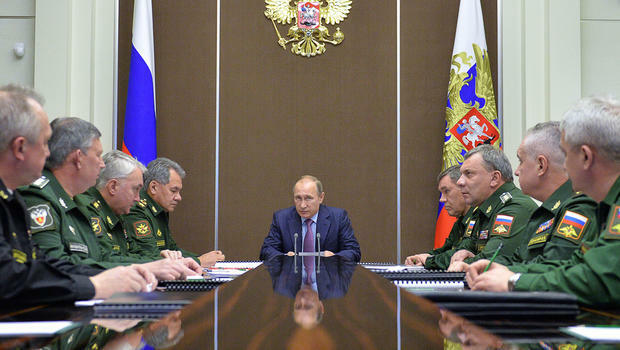 Baranetz said that no computer technology can pinpoint the location or calculate the trajectory of Russia’s nuclear warheads. 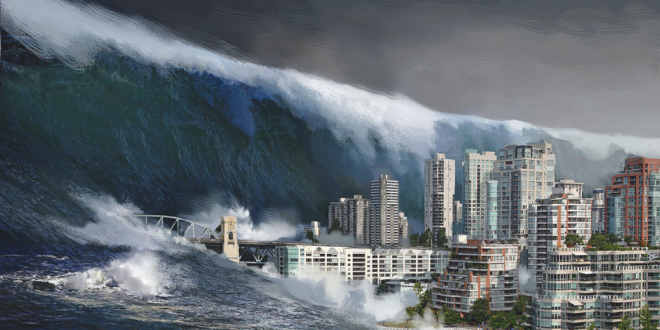 If Baranetz’s claims are true then major U.S. cities, such as New York, Boston, and Miami, could be devastated by a historic tsunami when the nuclear bombs are detonated. He says that the bombs are aligned in a chain to cause a “massive tidal wave” when they are detonated together. Some of America’s most populated coastal cities have been described as “sitting ducks” in the event of such an unconventional attack. Foreign Policy experts believe Russia will employ many methods of war against the United States before ever engaging in all-out nuclear war. Their current methods include cyber-attacks, EMP attacks, and now the potential “nuclear tsunami” option. Many in the media, as well as the Kremlin, are calling Baranetz’s claims false, and dubbing him a “crackpot”. As history has proven though, if Putin’s government is denying it, then it usually means that it is true. It makes perfect sense actually. Russian ships have been spotted off of America’s coasts for years now, as recently as 3 months ago on the East Coast. Another Russian ship was spotted 70 miles off the coast of Delaware, and numerous Russian ships have been identified off the coast of Kings Bay, Georgia. The Kings Bay coast is home to the U.S. Navy’s ballistic missile submarine base. Even more alarming than Russian ships moving so freely off of America’s coasts is that, throughout the Obama Administration, Iran parked warships off the East Coast of the USA numerous times. 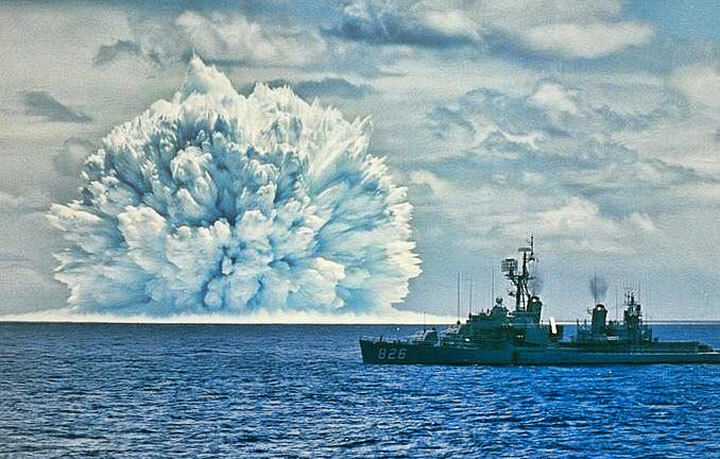 Since Iran and Russia have vowed to fight their future wars together, and have held many joint military exercises together over the past decade, could Iran also be planting nuclear bombs on America’s coastal ocean floors? I would not doubt it. While Iran continues to build their nuclear arsenal under the Obama Administration’s horribly bad nuke deal, Russia currently has the MOST nuclear weapons in the entire world. Yes, even more than the United States of America. This is also due to the disastrous foreign policy of Obama. As of 2017, Russia has nearly 450 more nuclear warheads than the USA. In the 2011 New Strategic Arms Reduction Treaty (START), which we all knew Putin would not abide by, Obama brought America’s nuclear weapons arsenal down under the capped 1,550 agreed to in the Treaty. While Russia on the other hand, did not do away with ANY of their arsenal, but rather added MORE. 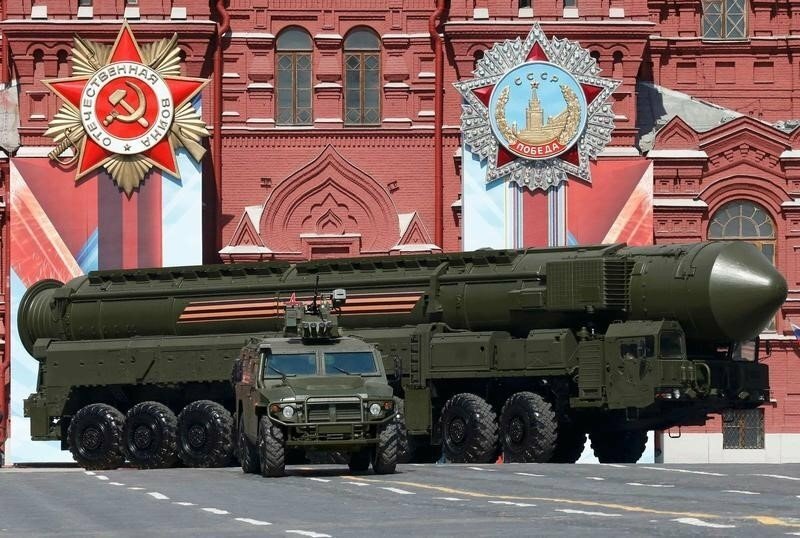 Russia is said to have at least 1,800 nuclear warheads deployed. It’s no wonder that Russia is the nation prophesied to lead the War against Israel in the Last Days. Russia definitely has the firepower to obliterate any nation on earth. 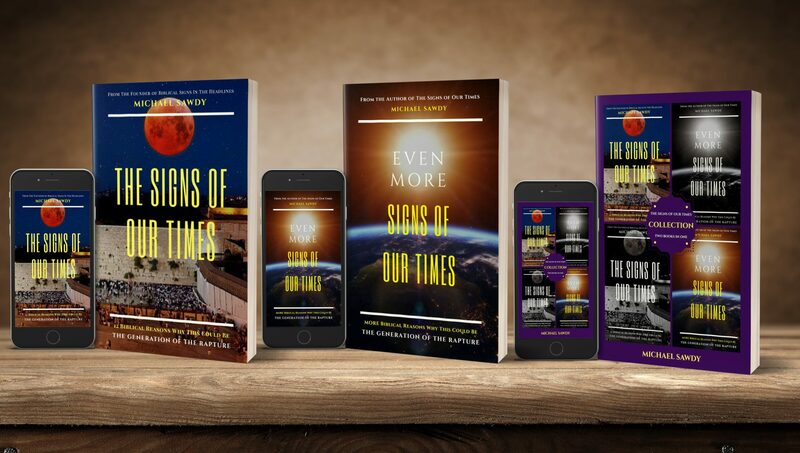 I thank God though that The LORD Himself will be Israel’s Defender when Russia makes any military attacks, because with all of the nukes that Israel’s enemies currently have, only God could possibly save them. And mark my words, HE WILL. When Russia comes against Israel, even with 1,000,000 nukes, they and Iran will FAIL and FALL. One of the prophecies that Jesus gave, concerning the Season of His Return to earth, says that “nations on earth will be in distress, with perplexity; the sea and the WAVES ROARING.” (Luke 21:25) I myself have always attributed this prophecy to tsunamis, cyclones, and floods, but I had never considered that the waves would be roaring due to a nuclear bomb blast. This Russian news is extremely disturbing, and I pray that the U.S. Intelligence and Defense community is taking the dangerous threat seriously. Otherwise, if they are not, then America will surely find itself in an unrivaled distress. Never in this nation’s history have we seen so many apocalyptic threats to the safety of the population. Whether or not the U.S. Government or the American people take the threats seriously or not, we believers know what is coming in the End. We who know God’s Word in this country must always remember that The LORD is our Guardian and Keeper. When the rest of the nation and world become perplexed and distressed by any future disasters or wars, we must always put our trust and confidence fully in The LORD, for He knows those Who are HIS. He will pass over us, as He did the Jewish people in Egypt, and will keep us safe throughout any carnage or catastrophe. If, however, you DON’T KNOW God, then now would be the perfect time to GET TO KNOW HIM.